In this lesson I'm gonna show you a certain kind of rhythmic approach that's been used as the basis for all kinds of great blues riff through the years. It's based on basic powerchords and using eight-note based upbeat strumming to create the tension. 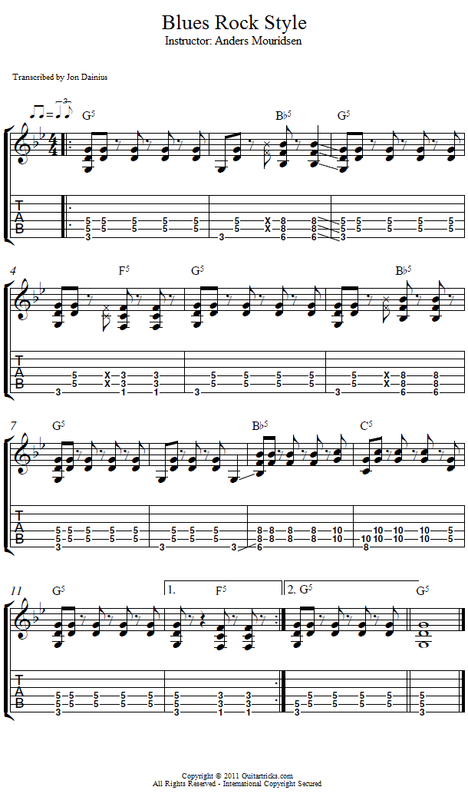 First I'm gonna walk you through the example, note for note, and then we'll play through it with the backing track!